The National Commission for Protection of Child Rights is supporting the previously created petition to ban PlayerUnknown's Battleground Mobile in India. The child rights committee is seeking an action report from the Indian Ministry of Electronics and Information Technology Department. 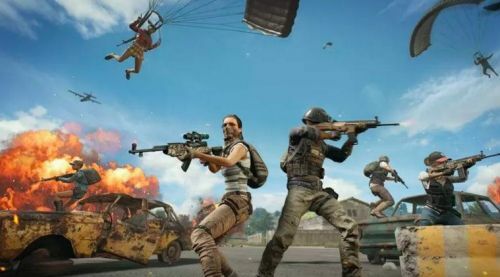 Anti-Corruption and consumer rights activist Vijay Gopal wrote to the National Commission for Protection of Child Rights (NCPCR) and Ministry of Electronics and Information Technology, regarding the ban of PlayerUnknown's Battleground mobile in January 2019. The child rights committee took action regarding the ban of PUBG when the case of a class 9 student from Hyderabad, who was given medication by a psychiatrist for PUBG Mobile addiction rose up. Nagesh Gore (24) and Annapurne (22) were run over by a Hyderabad-Ajmer train yesterday evening at a bypass in Hingoli, Maharastra. The Police mentioned in its report that both of them were busy playing PUBG. The bodies of the victims were later found in the night by the locals residing in the nearby area. A few days ago, Gujrat police arrested a few people for playing the popular game. It should be noted that PUBG is already banned in Rajkot, Surat, Gir Somnath, Bhavnagar, and Ahmedabad.